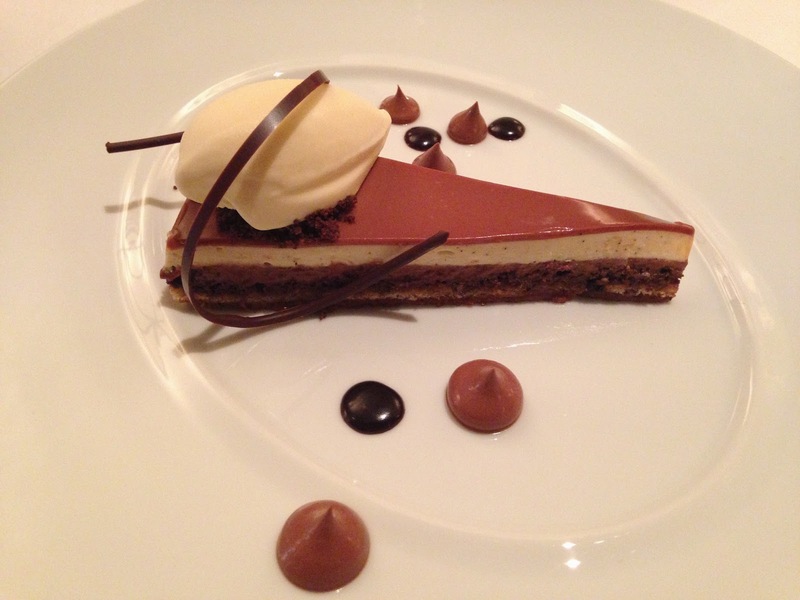 It's that time of year again...Restaurant Week! Time for my bi-annual trip to Cafe Boulud for the best RW deal in the city. 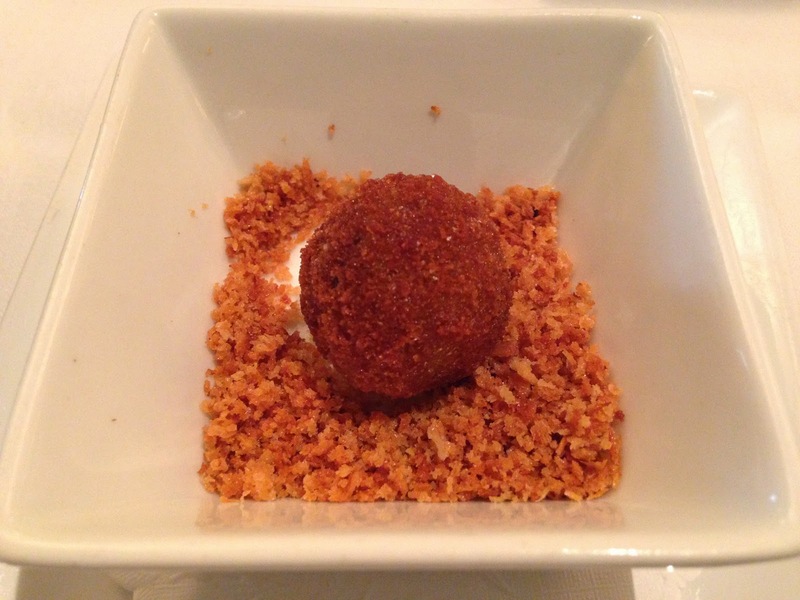 Of course the meal always begins with a delicious Black Truffle Arancini amuse bouche. 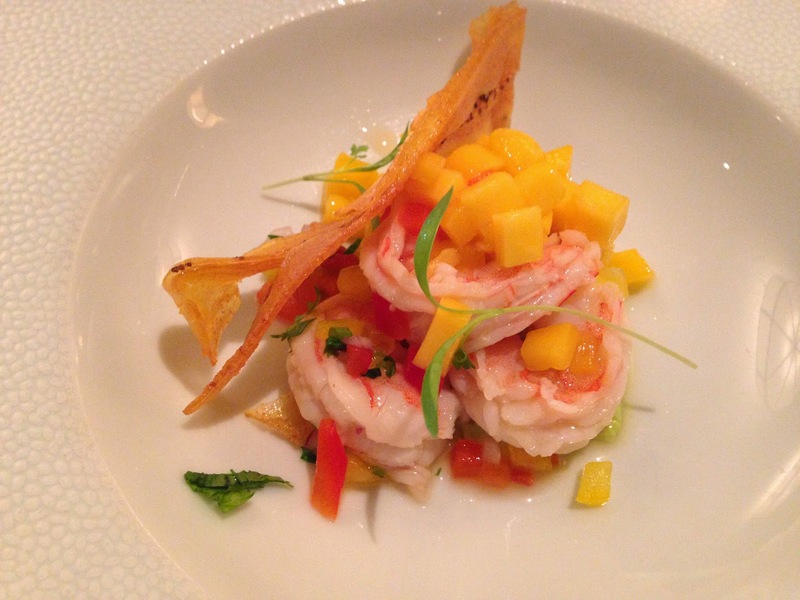 Onto appetizers a zesty Shrimp Ceviche with avocado, champagne, mango and crunchy plantain chips. 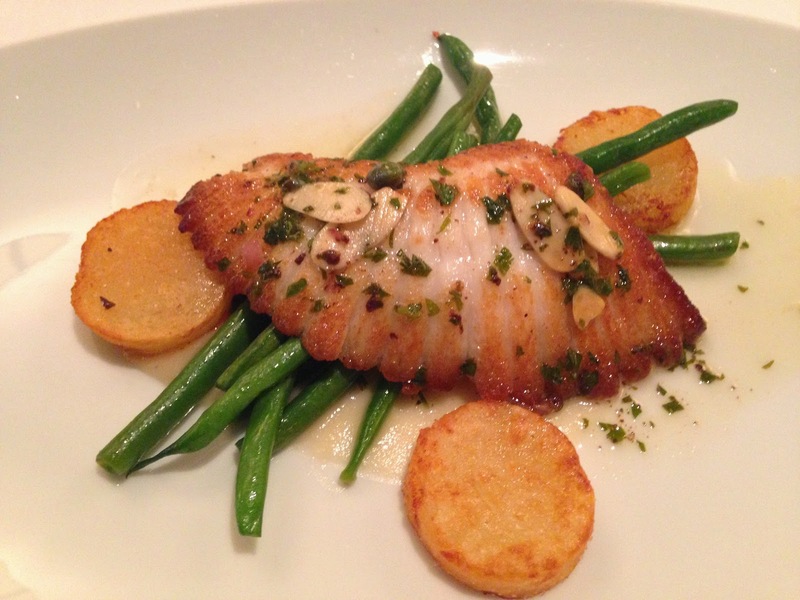 Followed by a crispy Skate Grenobloise with haricot verts, slivered almonds and onion soubise. One bite of this luscious brown butter sauce and I'm immediately reminded that Daniel Boulud is the absolute king of classic french cuisine. 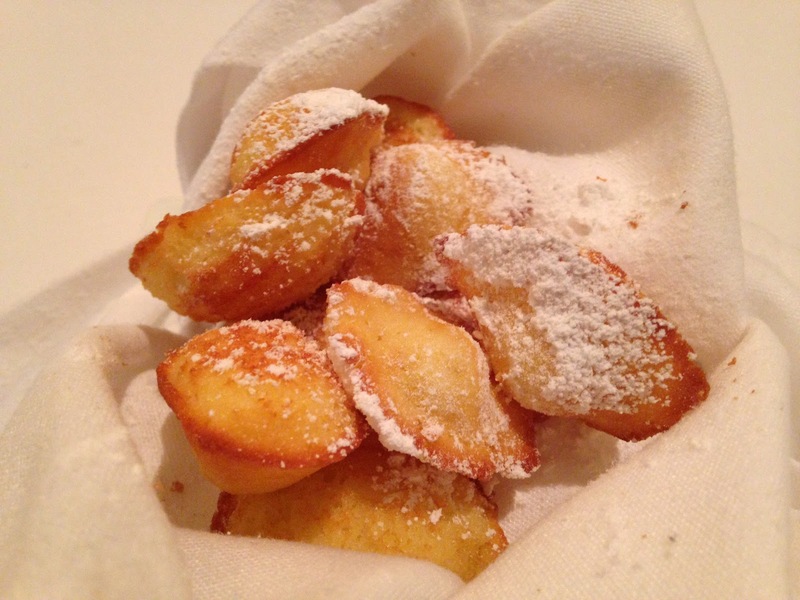 ...followed by a basket of piping hot Madeleine's...the perfect end to every Boulud meal.